Master Kong (better known as Confucius). Not to be confused with Master Puett. I just came across this piece in The Atlantic about Professor Michael Puett’s Chinese Philosophy course at Harvard. It’s a great example of how the study of philosophy can change your life. That quotation is a bit more Puett’s speed, in no small measure because it places the agency upon the student, and her effort thinking through these complex ideas from Confucius, Mencius, Laozi, and others, as opposed to on the professor. 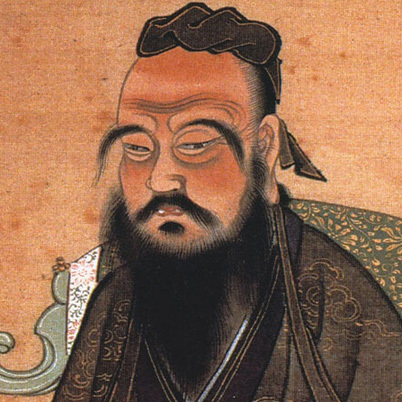 This entry was posted in Chinese Religions and tagged Ancient Chinese Philosophy, Chinese Religion, Confucius, Harvard, Mencius, Michael Puett, philosophy by teachingasianreligions. Bookmark the permalink.